Greater Manchester & North West, UK. Our booths are fitted with the latest high quality Canon DSLR cameras for the best image quality we can provide. Say NO to blurry phone selfies at your next event! Yes thats right.. we did tell you this is a booth without limits and we meant it. All of our packages include unlimited prints so go at it all you can, the booth is yours for the night so you might as well make the most of it. 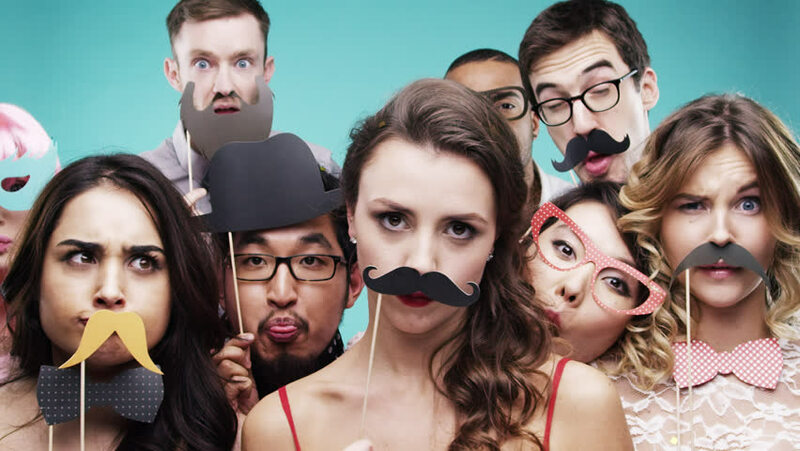 We think photobooth’s should be FUN! Let your hair down and just go crazy. From giant animal heads to extravagant wigs that bring out your inner diva, we have it all. We can even add custom props specifically for your event. Our friendly booth butler will be on hand to make sure everything runs smoothly and the booth is ready for maximum entertainment. Just rock up and pose like your life depended on it. Photobooth’s without limits! Gone are the days of being crammed into a tiny booth, our photobooth is completely open! No walls, doors or curtains. We don’t want to brag but we think our photobooth design is the best. We have a range of backdrops to suit your event OR if your venue looks pretty amazing why not go NAKED and have no backdrop? Our unique open air design combines the best in photobooth technology with hundreds of setup possibilities. All of the Snap Flash photobooths are fully automated with state of the art touch screen technology and advanced image capture. Free from walls, curtains and restrictions, the open air design allows for up to 16 people to fit if your venue is big enough. To check availability for your event please get in touch! Snap Flash Photobooths are based in Manchester but cover venues across Greater Manchester and the North West, UK.